To the runner-up go the spoils. Best known for his work on existing colorways, Jake Ferrato of JBF Customs also has the ability to create a few bangers of his own. 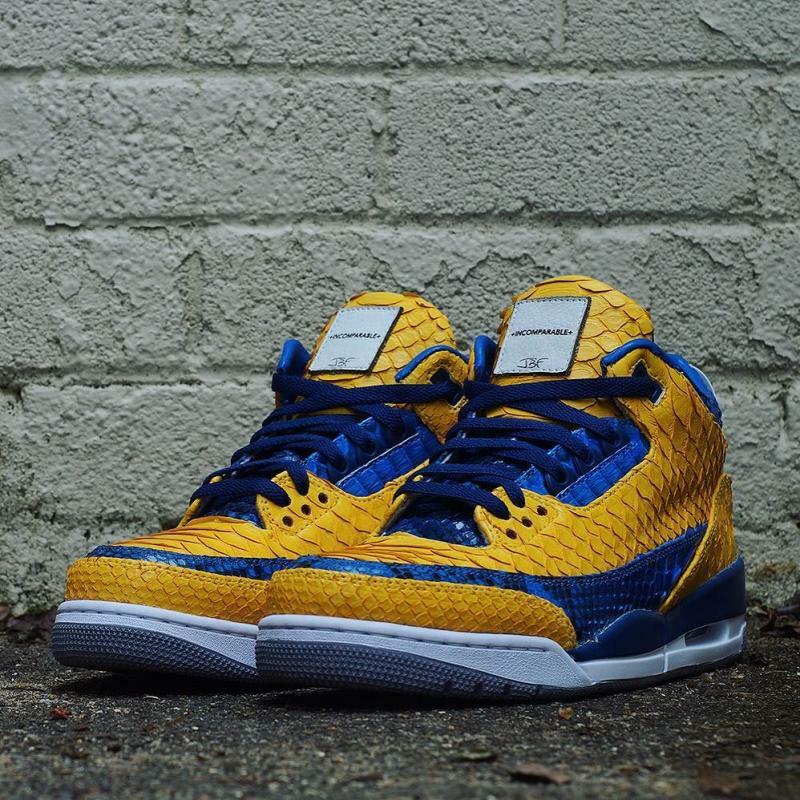 Though they didn't get the job done last month, the reloaded Golden State Warriors inspire Ferrato's latest project, a Bay Area take on the Air Jordan 3. The shoe was reconstructed in yellow and blue snakeskin, offset by hits of white on the custom "Incomparable" tongue tag, heel tab and midsole. Inquiries for your own custom sneakers can be made through jbfcustoms.com.